Kick off your visit on the 22nd (Tue): admire the natural beauty at Roma Street Parkland and then walk around South Bank Parklands. 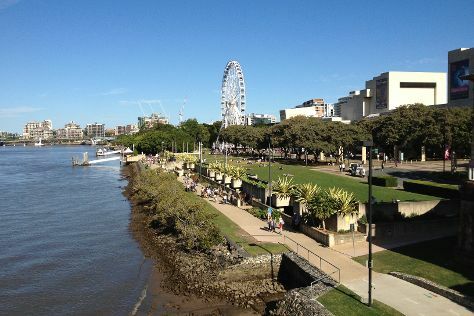 To find photos, traveler tips, reviews, and other tourist information, go to the Brisbane online holiday planner . If you are flying in from India, the closest major airports are Brisbane International Airport and Gold Coast Airport. Expect a daytime high around 29°C in October, and nighttime lows around 19°C. Finish your sightseeing early on the 22nd (Tue) so you can travel back home.